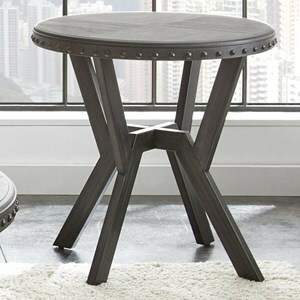 Capture the look of an urban loft with this industrial-inspired round dining table. 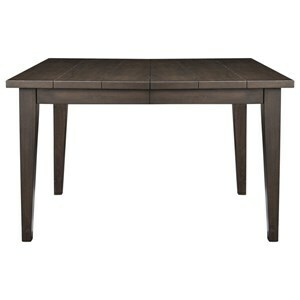 Gray finishes cover the paulownia wood top and metal base, setting the tone for the urban industrial look. Clean, geometric lines speak to contemporary style, while exposed metal rivets and a metal base give the table a distinct industrial appearance. 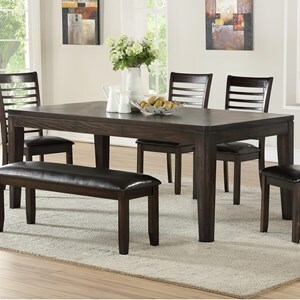 Smaller in scale, this dining table brings a lot of style to your eat-in kitchen or small dining space. 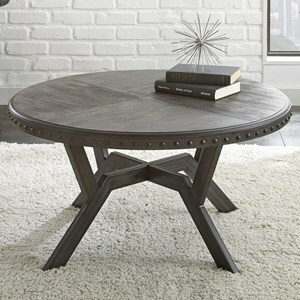 The Alamo Round Dining Table with Metal Base by Steve Silver at VanDrie Home Furnishings in the Cadillac, Traverse City, Big Rapids, Houghton Lake and Northern Michigan area. Product availability may vary. Contact us for the most current availability on this product. Case Construction Paulownia veneers with metal. Finish Gray wood and metal finish. Case Detail Geometric chair back detail. 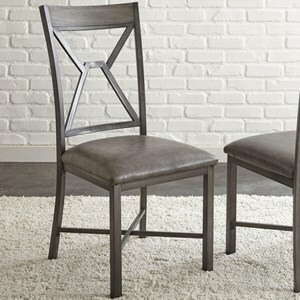 Capture urban industrial style with this metal and wood crafted collection. Made with metal bases and frames and Paulownia constructed wood tops, the living room accent tables and dining furniture exude industrial style. Clean lines and geometric motifs add contemporary appeal, while gray finishes and exposed metal rivets speak to industrial edge. 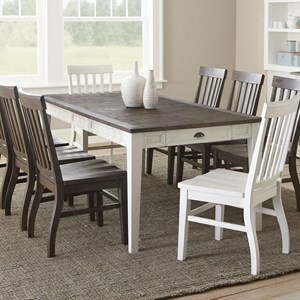 The Alamo collection is a great option if you are looking for Industrial Casual furniture in the Cadillac, Traverse City, Big Rapids, Houghton Lake and Northern Michigan area. Browse other items in the Alamo collection from VanDrie Home Furnishings in the Cadillac, Traverse City, Big Rapids, Houghton Lake and Northern Michigan area.